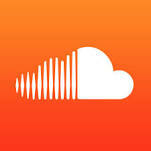 So, there seems to be a bit of a controversy surrounding Soundcloud, and some leaked info about their money problems. It appears they are laying people off and only have enough in the budget to cover up until the 4th quarter of the year. The company seems to be going belly up which has a lot of artists worried about loosing their favorite platform. Check out the full article below.